← Yesterday took the best of me and spit it out. Yesterday, I took time to watch the pigs grow. They are exceptionally curious and entertaining right now. scooping the poop so much more tolerable. For today friends, I hope you take time to watch something grow. 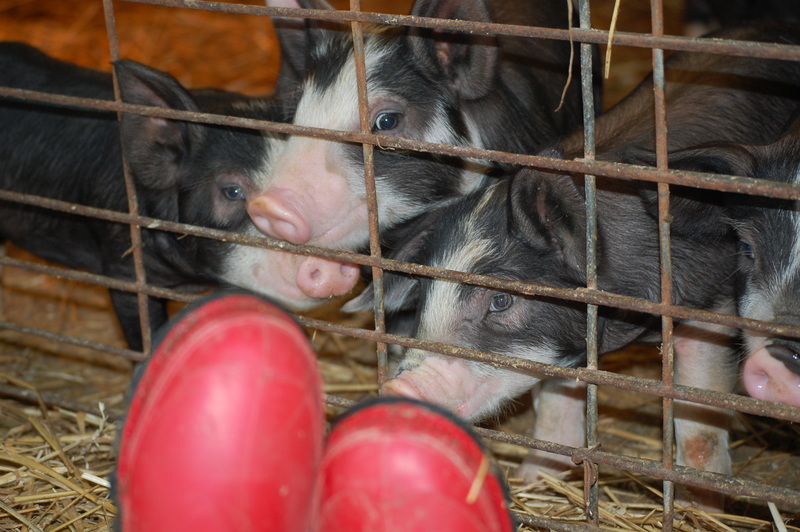 This entry was posted in Berkshire Pigs, Country Living, Positive Thinking and tagged Berkshire pigs, chores, farm animal photos, positive thinking. Bookmark the permalink. 10 Responses to Take time to watch the pigs grow. Funny to read these two comments….while my washer is going…! Little piggies are so sweet! The washer is usually going…. I hope you made progress! They look awfully cute all snuggled together. You can probably measure their growth from day to day! 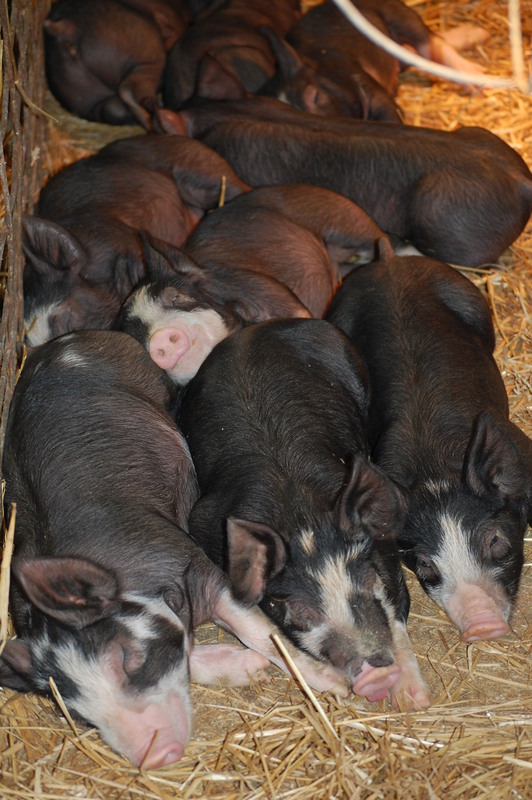 I love their piggy smiles…and they even smile in their sleep! They are very content (spoiled? ).